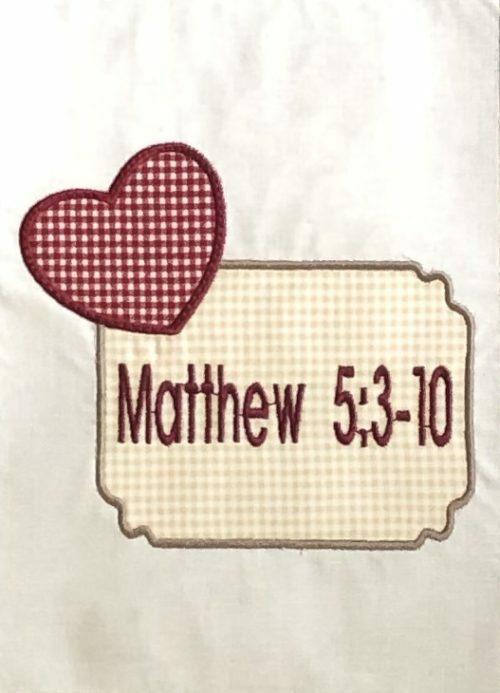 The beatitudes are taken from the Bible in Matthew 5. 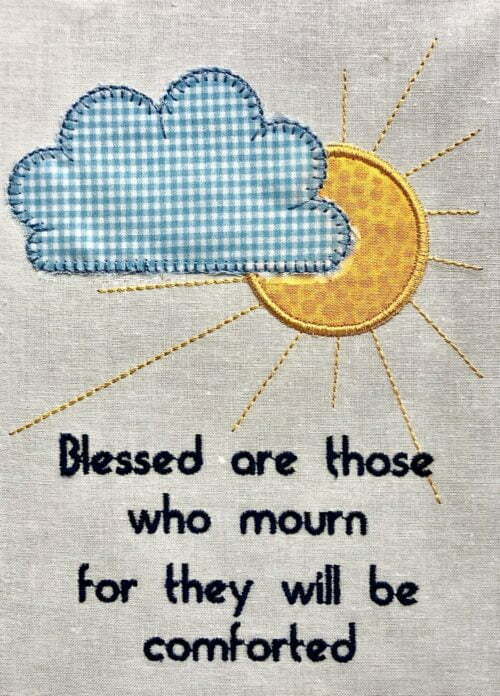 It is the beatitudes given by Jesus to the disciples (and the crowd) during the Sermon on the Mount. 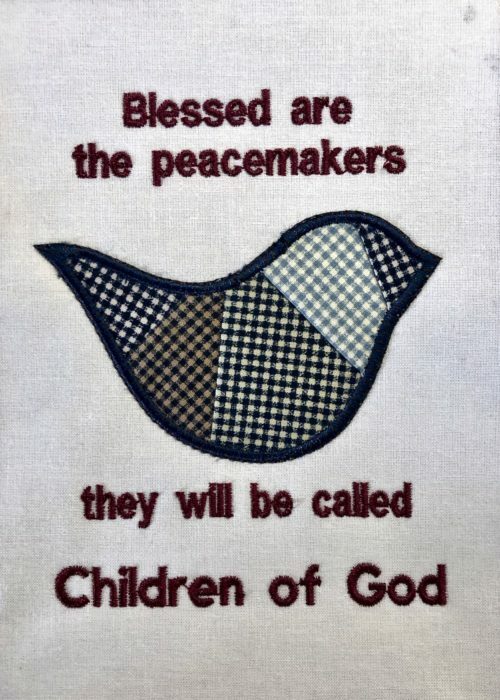 The beatitudes are also recorded by Luke, although he refers to the Sermon on the Plain – we don’t know it was the same event or whether Jesus gave this sermon twice. 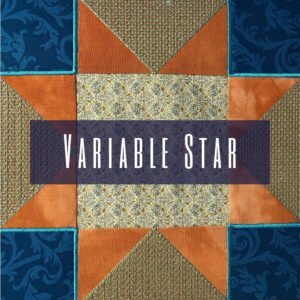 This is a beautiful set of designs to make a quilt, and the instructions for this is included. 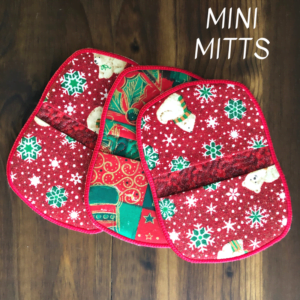 The intention is to celebrate the beatitudes that Jesus gave as an indication of how we should live as Christians – and also to love others as we love ourselves. 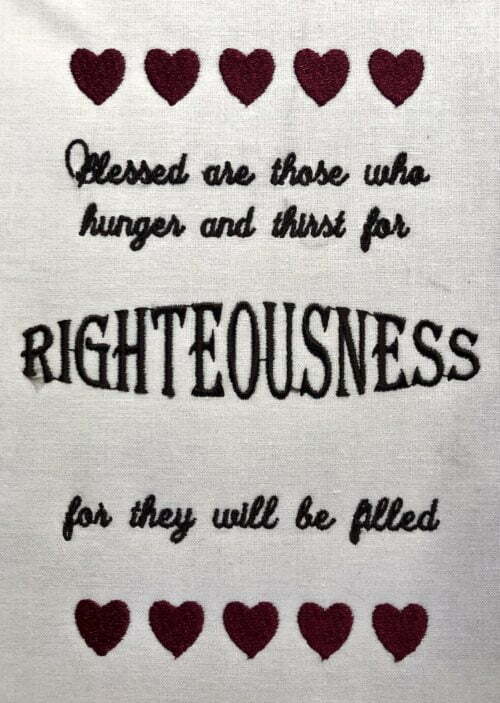 The beatitudes are taken from the Bible in Matthew 5. It is the beatitudes given by Jesus to the disciples (and the crowd) during the Sermon on the Mount. The beatitudes are also recorded by Luke, although he refers to the Sermon on the Plain – we don’t know if it was the same event or whether Jesus gave this sermon twice. 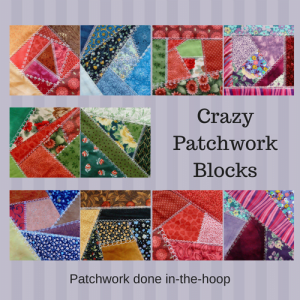 This quilt can be made in its entirety in one weekend. 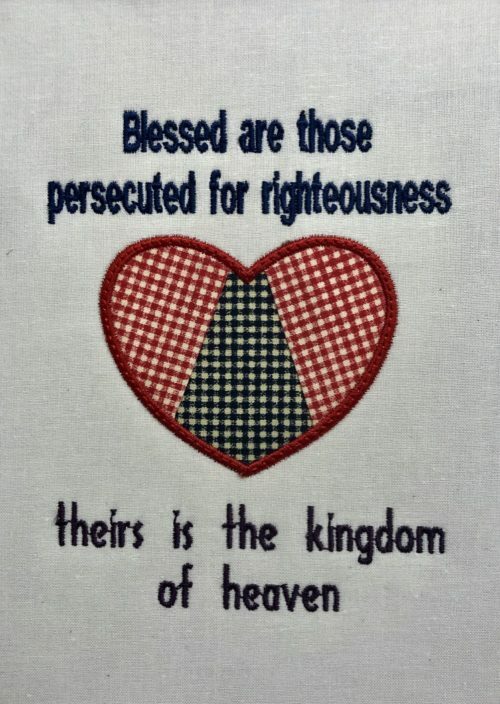 There are 9 designs included (8 beatitudes and 1 bible reference block). 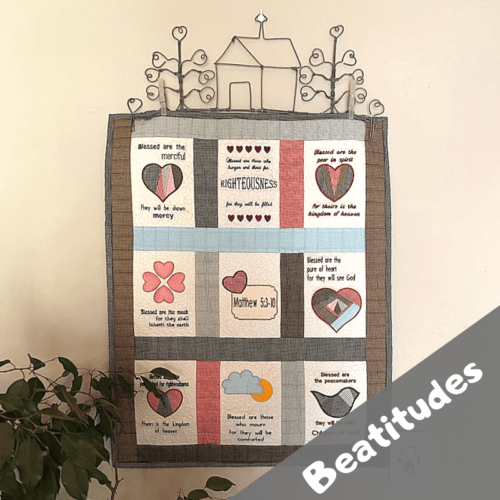 The beatitude designs can be stitched on their own as well, since the rectangle quilt block is provided separately. 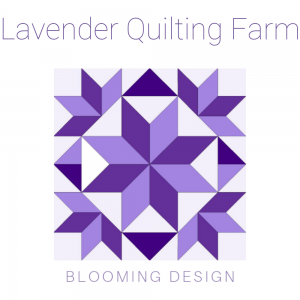 The instructions provide clear details on how to include the rectangle for easy squaring. 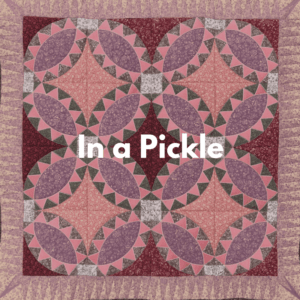 This is a good quilt to make for a beginner embroiderer, in the hoop patchworker and quilter. 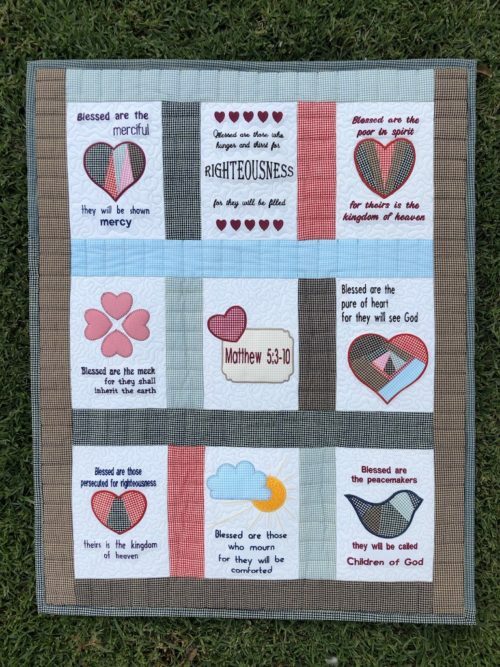 Each block includes a beatitude from the bible with a patchwork or appliqué design. The hearts are meaningful as one’s heart is considered the center of one’s being and includes the mind, will and emotions. 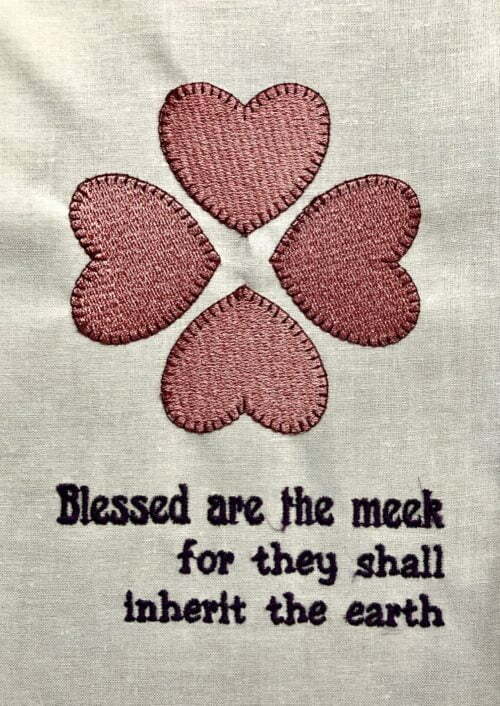 We are truly blessed with each beatitude and should take it to the center of our beings. 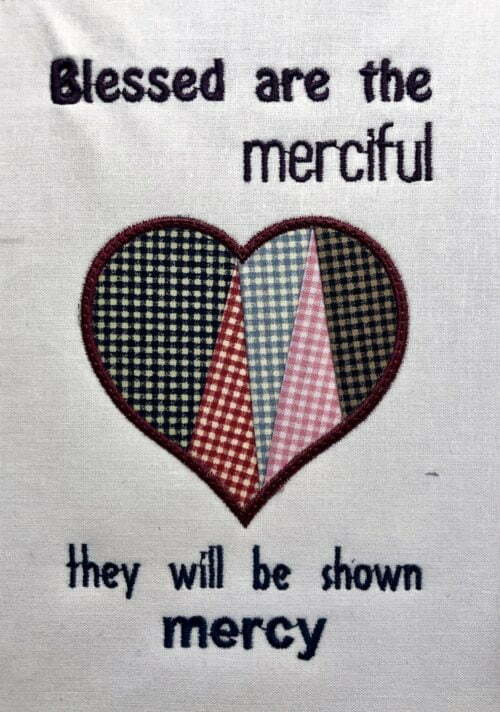 We should entrench them into our souls. 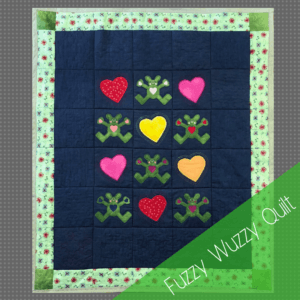 All available embroidery file types as indicated in the attributes for this product are included in your download. Should the one you require for your machine not be included, please contact us. To find out the file type your machine uses, contact your machine manufacturer. Bernina machines recognize the EXP file type i.e. you will only need to transfer the EXP file directly to your flash drive or machine. 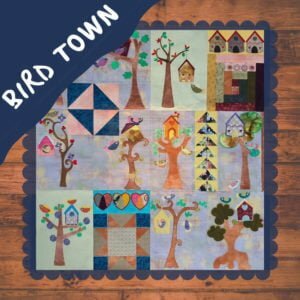 For more help on buying and downloading machine embroidery designs, please read our blog post on the topic. 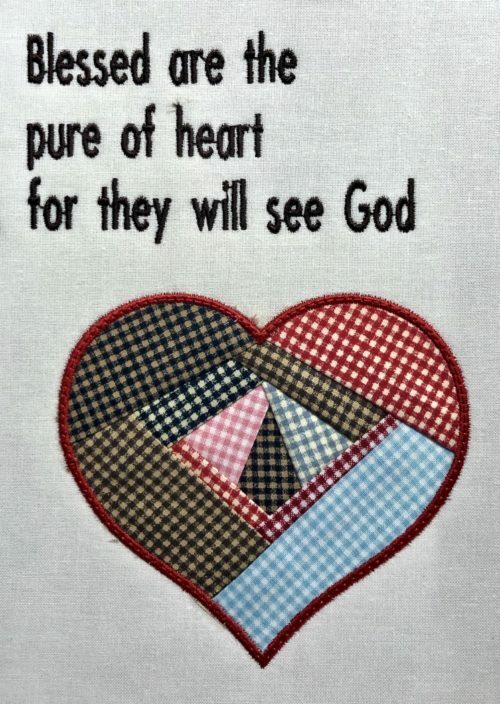 Detailed instructions are included in English and Afrikaans, for stitching each beatitude design as well as the construction of the wall hanging.